Andrew Lloyd Webber and Gary Barlow have come together to write and produce the official Diamond Jubilee Song. the track SING is performed by the Military Wives with Gareth Malone and musicians from across all the commonwealth countries. The video for Sing, the official song of the Diamond Jubilee. 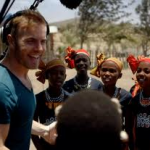 Performed by the Military Wives with Gareth Malone and musicians from across the Commonwealth including the Royal Solomon Islands Police Force Band, Sydney Symphony Orchestra, Slum Drummers from Kenya’s Kibera slum, African Children’s Choir and many more.